To the Editor.— Cigarette smoking is a major health problem and many methods have been proposed to help people break this habit.1 Hypnosis is one method that some claim can be used for this purpose. However, patients as well as physicians may be uncertain as to what extent this is true, and if it is true, what factors intrinsic to the person being hypnotized and to the hypnotic situation itself are crucial. 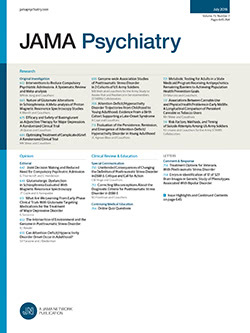 Therefore, an attempt was made to determine (1) whether hypnosis could indeed be used to decrease smoking, (2) if so, whether persons responsive to hypnotic suggestions to smoke less could be identified a priori, and (3) whether instructions given after "trance-inducing" procedures would be superior to suggestions given in a wakening state.